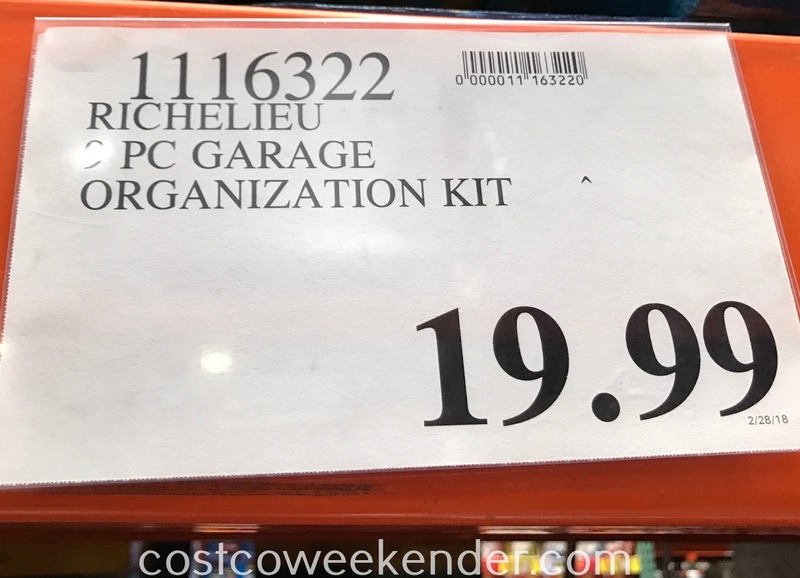 Space is a premium in my household especially in the garage. The garage ends up getting used as a storage facility despite already having 2 cars parked inside. So to make additional space, I use a wall organization system similar to the Richelieu Garage Organization System. 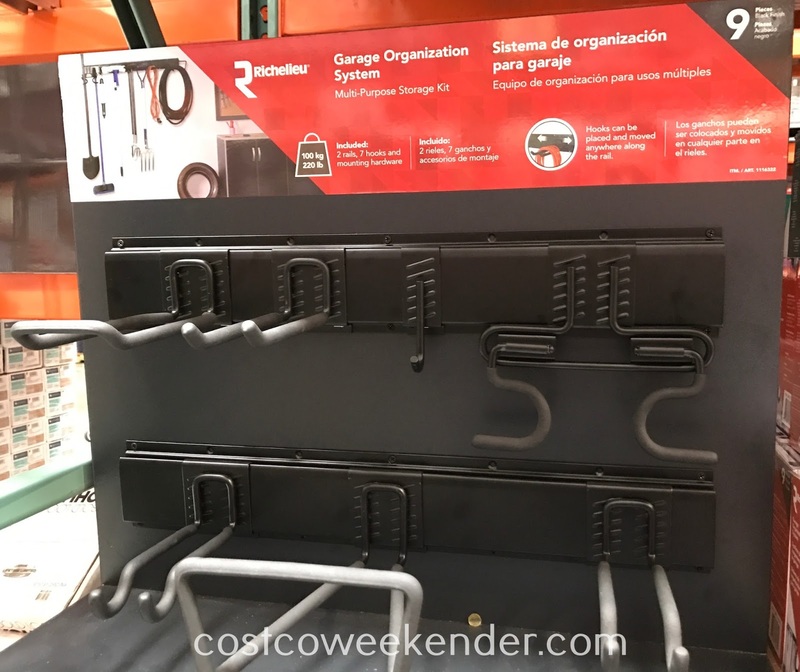 I can attach all kinds of different hooks onto the rails that I'm using to hang bicycles, extension cords, ladders and long-handle tools. 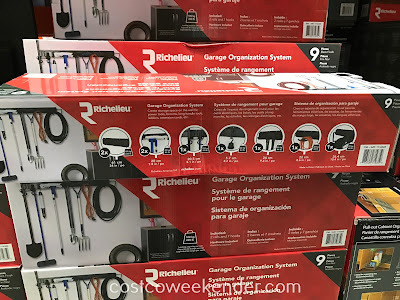 The Richelieu system at Costco is only a fraction of the cost compared to the one that I bought. 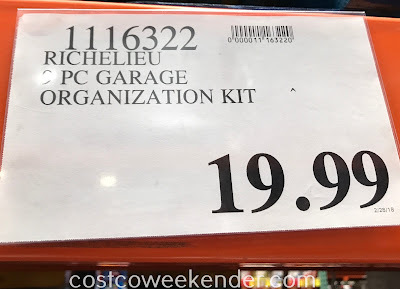 I may need to hang a few more things like a garden hose or my kid's scooter. 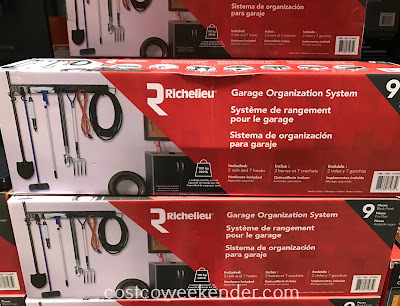 I'll surely buy the Richelieu Garage Organization System for some extra storage for a reasonable price.